Establishing a strong editorial workflow is important for any organization that places an emphasis on content marketing. What’s interesting about this is the various tools and methods each organization uses. We decided to ask some content experts their thoughts on creating a content calendar and what steps should be taken to establish a content calendar template that people can use. Some people like to see their work on the walls — literally. Paul Nowak, CEO at Contellio, uses post-its on the wall! Every afternoon I moved all the remaining tasks to the next day. After a month I had my calendar ready. Or at least first version, because it keeps changing all the time as we balance our focus. Actual editorial calendar is now on the wall in our office. I have tested multiple tools from Trello, to Google Docs, to CoSchedule, etc. but for a small team like ours wall worked the best. Also: having this drawn on a wall serves as a motivation. Putting your content calendar on the wall illustrates it’s important to the organization, especially when the CEO does it. It lets everyone know that this is a task that has priority and needs to be accomplished. A lot of teams create spreadsheet content calendar templates. 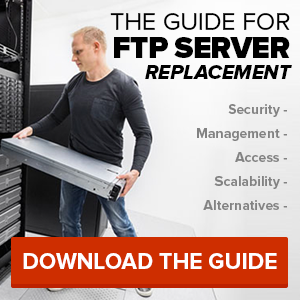 While they often lack flash, these can be used on nearly any device without any extra installation. Gert Hattingh, the Head of Digital Marketing at oneclickhere, uses reliable spreadsheets for his team while also using Asana to keep track of duties. 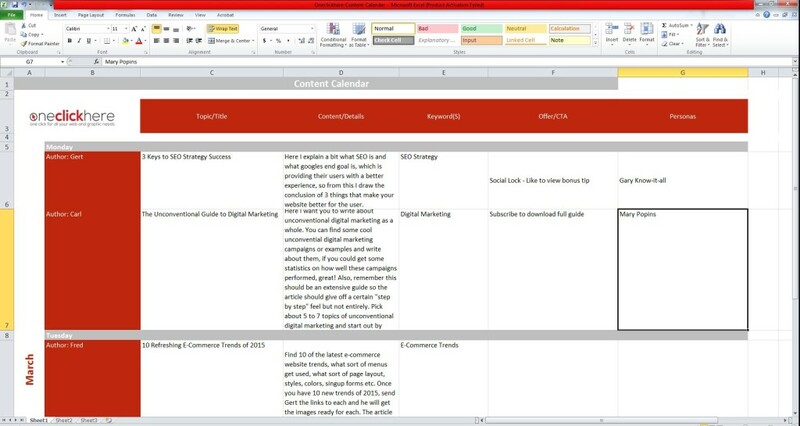 We use a very old school approach to planning by making use of a plain Excel spreadsheet where we use headings for topics / titles, content details, keywords, target personas and the offer (CTA). Doing this, gives each author that’s allocated to a content piece a complete overview of what needs to be done and by when, its as clear as it can get. My team likes to use Asana in conjunction with the spreadsheet to keep track of their due dates via e-mail. Dayne keeps it simple, but that makes their process efficient. We keep track of the progress for each step [of our content process] in a Google Sheet, so for example, we set deadlines for: pitching the subject to the editor; completing the outline; completing the draft; and then completing the final draft for editor approval. As the authors complete each step, they update the sheet to let the editor know what progress is being made and what needs to be worked on. The goal is to have it done by the third Wednesday of every month, when we combine those articles to send out in our monthly email newsletter. It’s simple, convenient, and always improving. I really love Google. It’s all I need to keep track of what’s happening when on my blog calendar. Other teams have started to expand outside their physical walls and old-school spreadsheets for something a bit more user friendly, specifically SaaS tools. 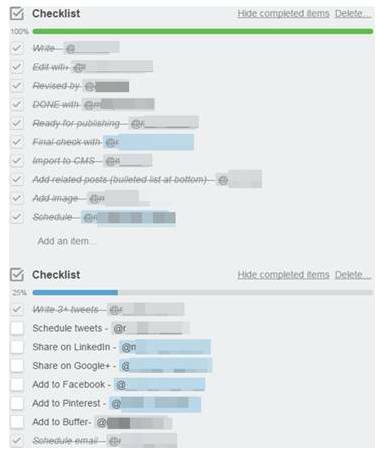 Trello is a free workflow tool and I’ve found that it’s great for organizing blog content as it moves through the creation, publishing, and promotion cycle. I’ve created boards for each stage: ideation, research, on hold, writing, editing & graphics, scheduled, ready to publish, and published. This keeps my content organized and motivates me to keep everything moving. Because there’s a calendar view, I can add publishing dates to all of the articles themselves and easily see them in a graphical setting that holds my timeline. I also added a board just for events and holidays that helps me come up with new ideas and time content appropriately. Because there’s so many tennis tournaments each year, as an example, seeing my content timeline against this board in a calendar view is crucial. I also like that I can create checklist templates and then add them to each article. I have one board that’s exclusively for content promotion ideas divvied by category that I’m constantly updating and adding to. With each card that’s designated for a piece of content, I can add one or more promotion checklists and then edit it as necessary based on the content’s needs. The app is very well designed and has helped me remember important details when I haven’t been at my desk so that I can respond to emails or make changes on the fly; I can also easily add new content ideas as they come to me and they’ll be waiting for me on my desktop when I get back to the office; finally as I get email updates, I’ve been able to switch where content sits in the cycle no problem so everything stays updated. There are some downsides, however. While I’ve had no problem with the desktop layout of Trello that has boards hang horizontally and vertically past the screen, it has been difficult for my colleagues who prefer an at-a-glance model. Still, for early-stage startups, I’ve found the dynamic nature of Trello to be superior to Excel spreadsheets and some over alternatives I’ve experimented with. As you can see, Trello can be a great tool but it does have some limitations given the fact that it’s not explicitly built for content workflows. Adam Bockler, the Communications Manager at Float also uses Trello but also uses his calendar as well. First, I use Google Calendar to break down our types of content. I have a calendar for internal deadlines, live deadlines, and events. I sometimes base the editorial calendar off events we’re attending. For example, if we’re speaking at a conference, I can schedule a blog post and newsletter to promote it, and then maybe a follow-up blog post with our thoughts on the event and link any relevant materials in the following newsletter. I use a separate calendar for internal deadlines to separate it from live deadlines. Because of our process, I work to have a blog post drafted a week before it’s due to account for any editing. I use a similar process for lead nurturing emails. Because our team doesn’t formally use Google apps, I am also duplicating the editorial in Trello for now. I assign a person and a due date to the card so they know when their assignment is due. I also urge them to attach the Drive link to the card. Michelle Brammer, the Director of Marketing at eZanga.com, also uses Trello for her 3 person team. I manage a department of three as well as coordinate outsourced thought-leadership with our PR company. To keep everyone on track, we use the service Trello. Through Trello, we’re able to manage our workflows from content creation on though to distribution and promotion, ensuring no area is overlooked. Once scheduled, the person assigned the topic researches and writes the article in Google Docs. Once completed, it goes through a structural look with our content supervisor and editing with our editor. Once they have gone back and forth and are mutually happy with the content, I do a final scrub and check for accuracy of information presented. After my okay, it is coded in our in-house CMS for publishing to our blog. After that point, it is added to our promotion queue to ensure social scheduling is completed. CoSchedule is a neat tool that integrates directly with WordPress. Chris, or Mr. Cable Cutter at www.CutCableToday.com, uses CoSchedule and likes it a lot. 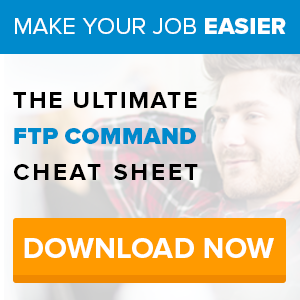 It’s a tool I discovered a few weeks ago that allows you to handle the entire process in one spot. So you have the Editorial calendar in WordPress where you can add assignments, drag and change dates, etc. When you add the assignment, you create the assignment and can share/send to your writers all in the same window. You can also chop up your assignment into tasks and assign each (research, write draft, edit, etc) all the way to publication. You can also attach a Google Doc to the task window for the writer. From there, once the draft is written and edited, CoSchedule will convert the Google Draft into a WordPress post. You can also connect your social media accounts, and set an automatic share to occur once the assignment is published. Oh yeah, one more thing I forgot–it automatically sends email reminders for when tasks are about to be due, as well as email notifications for when tasks are completed. It isn’t cheap by any means, but the time it’s going to save us is well worth the $60 per month we’ll spend. CoSchedule is helping his team save time and produce more content as they scale up. BaseCamp is a multi-purpose tool for teams. Some content experts are using this for their content calendar or content workflow. We use Basecamp to assign projects from initial conception of the idea through the research, writing, revision and approval stages. This way we know and our clients can know where each project is in the process. We like it because we can add notes, keep up with client hours, and add attachments. We can also choose who gets notifications and who sees what piece of information. The hang up for most with HubSpot’s calendar is two fold. First, you must use their blog tool for the full benefit, but we use WordPress. Second, the notifications are lacking (but they’re working on it). However, HubSpot has integrated their calendar with Zapier, which lets me connect apps without extensive API knowledge. So whenever I create a blog post event in HubSpot, it creates a post draft, with my due date and other fields, directly in WordPress. It also creates a task in my ToDoIst app and I’ve also connected Google Tasks in the past. I collaborate with our Creative Director Kevin O’Keefe a lot, and he makes many of the pretty pictures you see here. For that piece, I can create a task for him in HubSpots calendar but we also use SmartFile. 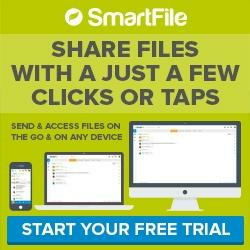 With SmartFile, he can send me files securely and I can access them anywhere and on any device. I can get notifications automatically when he submits a file and it even has file versioning, so he can update a file but the original can still exist. This is great for collaboration. The bottom line is that different teams use different content calendars all the time. Hopefully, the templates they’ve provided can help you figure out what will work best for your team, no matter it’s size. The hardest part is storing files securely, especially with your working with people outside your organization. SmartFile helps you know when files are accessed, who accessed them, and when know files are shared. Try the 14 day trial and see if it will work in your process!